China said on Monday that it will safeguard its security interests at 'any cost' as its sovereignty was 'indomitable', amid a standoff with India in the Sikkim sector. Chinese Defence Ministry spokesman Wu Qian made this assertion ahead of this week's National Security Advisers' talks to resolve the standoff. Maintaining China's hardline stance on the issue, Wu told a media briefing that the willingness and resolve of China to defend its sovereignty was 'indomitable'. "China will safeguard its security interests at any cost. India should not leave things to luck and not harbour any unrealistic illusions," he said ahead of the 90th anniversary of the People's Liberation Army. Commenting on the over a month-long military standoff between the troops of the two countries at Doklam area in the Sikkim section, Wu urged India to to 'correct its mistake'. 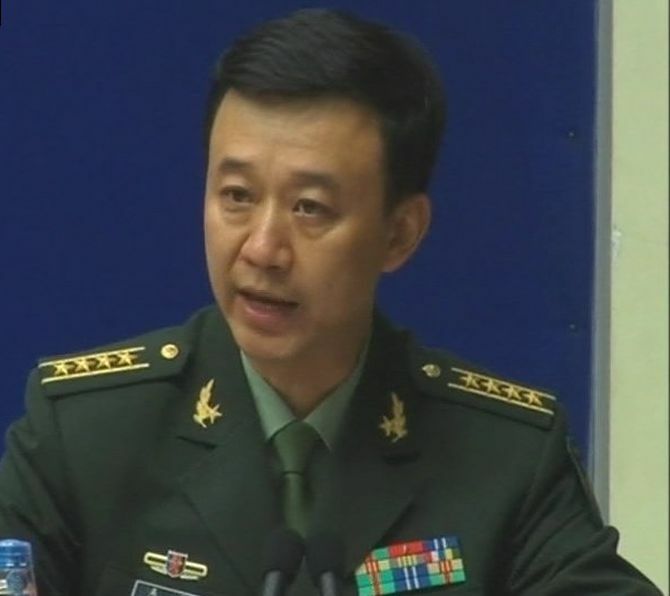 Stating that the PLA has taken emergency measures in the region and continues to increase focused deployments and drills, he said, "We strongly urge India to take practical steps to correct its mistake, cease provocations, and meet China halfway in jointly safeguarding the border region's peace and tranquillity." His comments came as National Security Adviser Ajit Doval is set to travel to Beijing this week to attend the BRICS (brazil, Russia, India, China, South Africa) NSAs meeting scheduled to be held from July 27-28 during which he is expected to hold talks with his Chinese counterpart Yang Jiechi. Both Doval and Yang are Special Representatives of the two countries in the boundary talks. Chinese officials say while there may not be a formal meeting between the two officials, keeping with Beijing's public position that no talks will be held without India withdrawing troops, they could hold discussions on the sidelines to end the deadlock. Last week, External Affairs Minister Sushma Swaraj told Rajya Sabha that China intends to unilaterally change the status of the tri-junction with Bhutan, which poses a challenge to India's security. She had said there was a written agreement between India, China and Bhutan in 2012 that the three nations will together decide on the boundaries at the tri-junction point. She also accused China of building roads using bulldozers and excavators, which has been protested by Bhutan in writing to China. Swaraj also said that India was not 'unreasonable' on the issue and all nations were with it. The standoff between China and India in the Doklam area near the Bhutan tri-junction has dragged on for the past four weeks. It started after a Chinese Army's construction party attempted to build a road. Doka La is the Indian name for the region which Bhutan recognises as Dokalam while China claims it as part of its Donglang region.